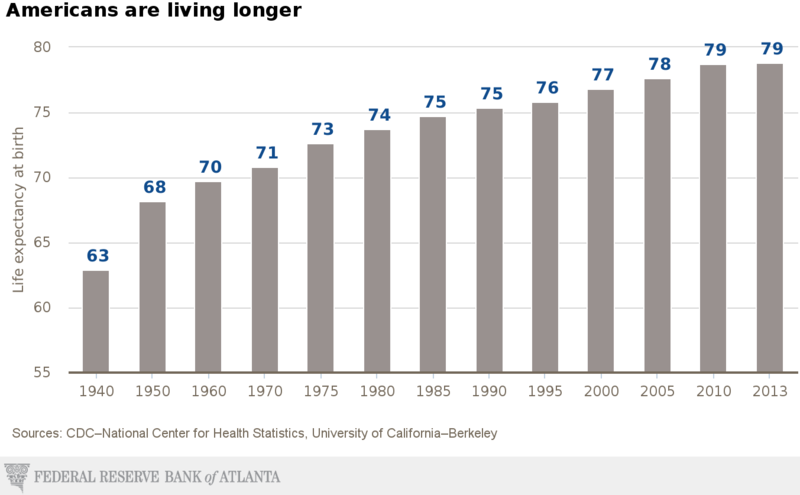 People are living longer than ever before thanks to rapid medical advances, broad standard of living improvements, and a growing public focus on healthy lifestyles. For example, the average life expectancy for an American born in 2013 is 79 years, according to the Centers for Disease Control–National Center for Health Statistics (NCHS), 25 years longer than a person born in 1920 and 16 years longer than someone born in 1940. Those are life expectancy from birth statistics, though, and life expectancy after a person has reached a certain age can be much higher. For instance, a 65-year old American has a 47 percent chance of living to at least 90, according to J.P. Morgan calculations using Social Security Administration data. Add to this the substantial size of the baby boomer cohort (people born approximately between the years 1946 and 1964) and it seems unavoidable that the age structure of the United States will shift toward a higher weighting of older Americans. 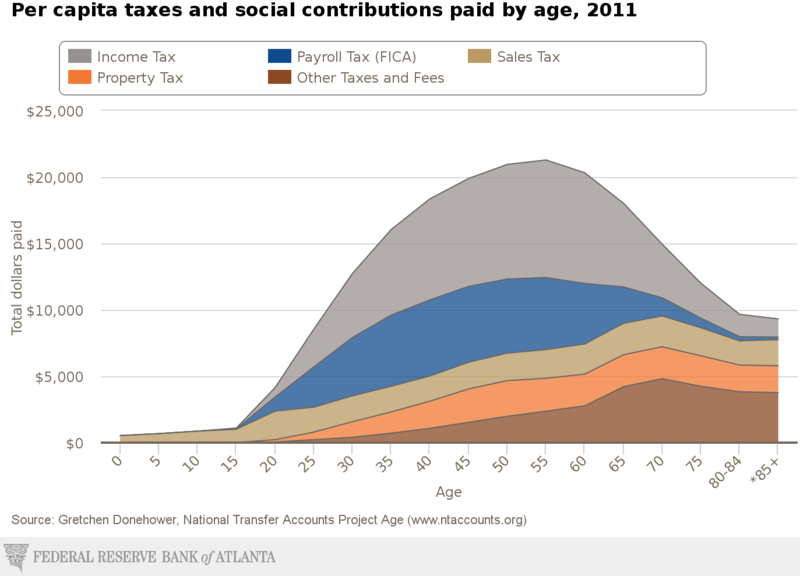 In fact, the Federal Reserve Bank of Atlanta (FRBA) estimates that the share of Americans age 65 and older will rise from 15 percent of the population today (48 million people) to 21 percent (74 million people) by 2030, when the youngest baby boomers finally turn 65, and 22 percent (88 million) by 2050. 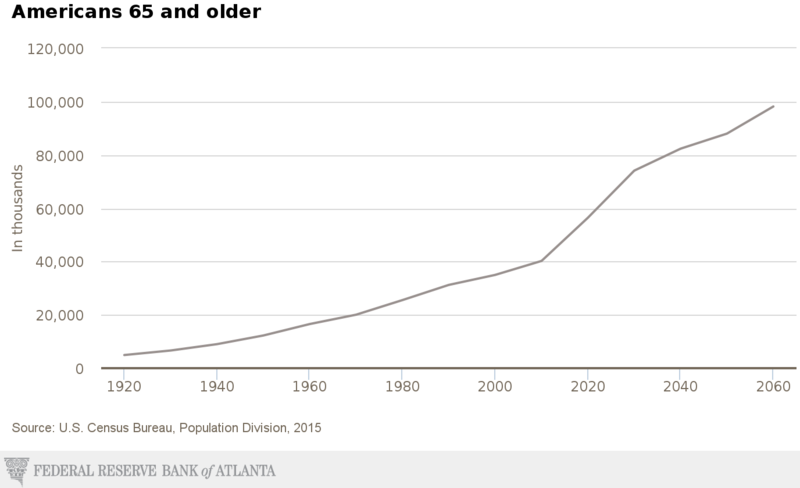 Moreover, adults at least 85 years old are forecast to account for 5 percent of the U.S. population by the year 2050, or roughly 18.9 million in total. 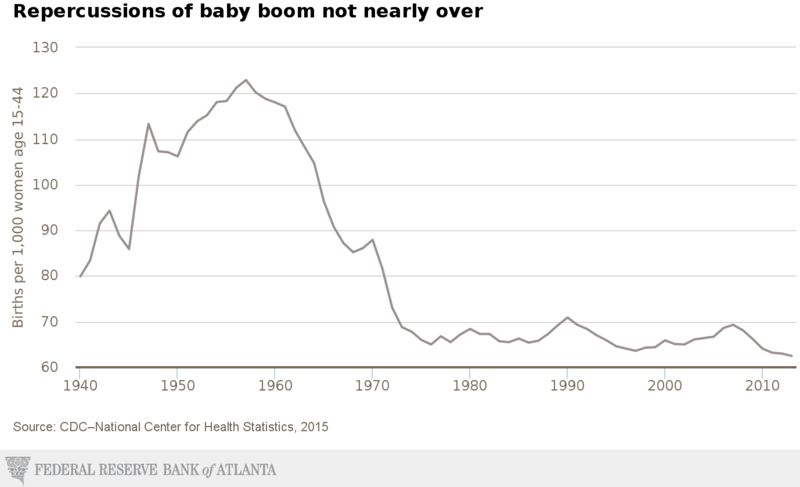 At the same time, birth rates have fallen considerably since the “baby boom,”, which along with a rising number of older Americans means that the proportion on working-age adults in the United States will shrink. 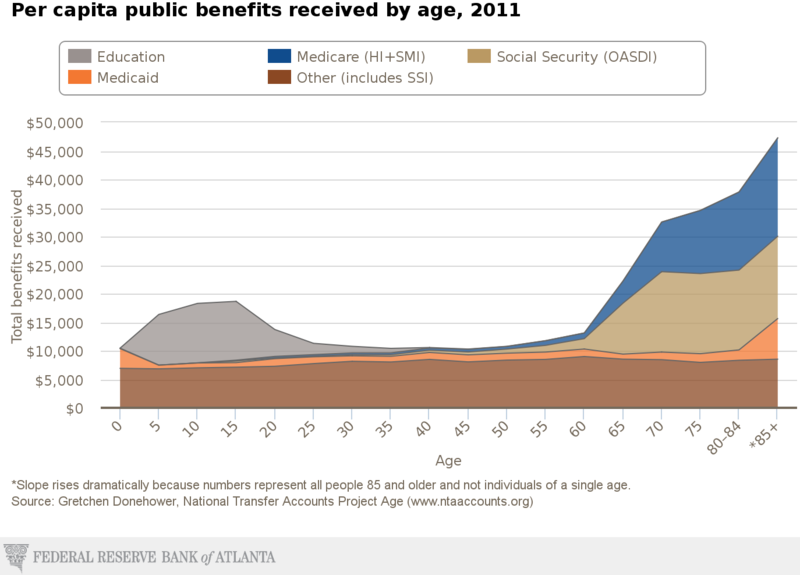 This could prove to be a significant challenge for government entitlement programs as more people receive Social Security and Medicare benefits while fewer pay into the system (tax receipts). The Congressional Budget Office (CBO) even projects that expenditures on social insurance for retirees will more than double by 2040. 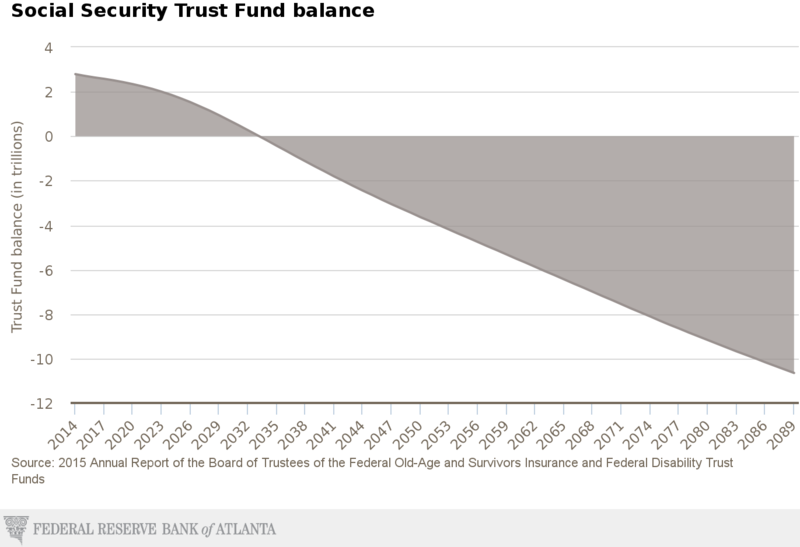 There is still time for such challenges to be addressed but most Americans probably do not want their old age financial security to depend heavily on the government’s ability to do the daunting fiscal math. Self-funding and long-term planning are therefore more important than ever, and this is why utilizing tax-advantaged savings vehicles, e.g. 401(k)s, and regularly consulting with a professional financial advisor can together help people achieve the lifestyle they want in retirement.